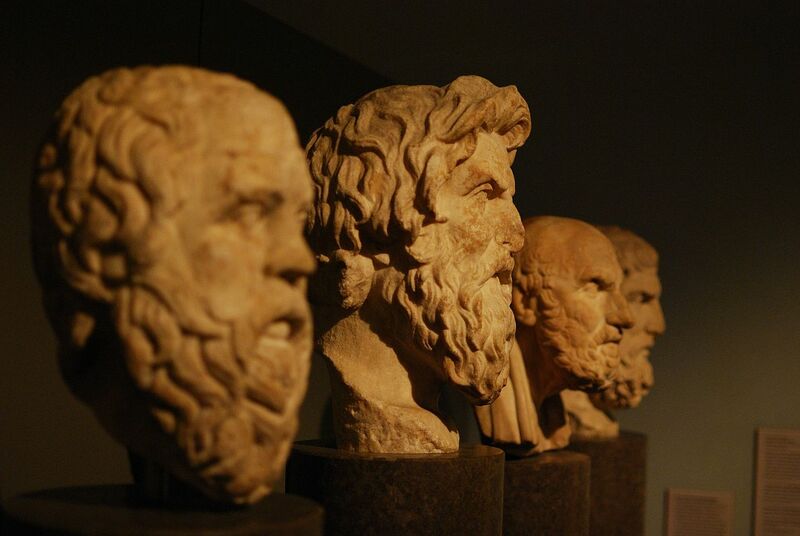 The average scores of philosophy majors on the LSAT and other standardized tests are regularly presented as reasons for university students to major in philosophy. In an age of increasing pressure to compete for student enrollments, data of this sort are important for the discipline of professional philosophy. Tenure lines are partly justified on the basis of student enrollments, and students are encouraged to enroll in philosophy partly on the basis of the impact that philosophical instruction has on cognitive ability, these claims are part of the mechanism by which academic philosophers hope to secure university funding for their departments. Given these institutional arrangements, the profession of academic philosophy has an interest in determining whether these statements about the beneficial cognitive impact of the study of philosophy are justified. In reality, however, there is no justification for such claims. Getting higher test scores after studying philosophy does not show that higher scores are the result of studying philosophy. For all we know, it may be that philosophy students are brighter than average to begin with, and that this is why they perform so well on the tests. If that were true, their high scores would have nothing to do with their studying philosophy courses. Therefore, as long as this alternative hypothesis is not ruled out, no inference about practical benefits of philosophy is logically permissible. Sesardić’s essay provoked some discussion at Daily Nous, and at Brian Leiter’s blog here and here. Building on my remarks at Leiter (and on another discussion at Daily Nous), in this essay I will examine a related claim about the impact of philosophical instruction on cognitive ability and suggest that, while the outlook is not so bleak, the discipline of philosophy is not yet paying enough attention to this issue. Sesardić’s reservations are directed at the absence of evidence showing a link between university instruction in philosophy and its impact on university students’ cognitive development. While it may be true that claims for this university-level link are unjustified or overstated, a growing body of controlled and randomized research suggests that philosophical instruction in primary and secondary education positively impacts students’ subsequent cognitive development, sometimes for years after that instruction ceases. Improvements have been reported in mathematics, critical reasoning, reading comprehension, emotional intelligence, and listening/talking skills. For an overview, see the work surveyed on pages 4-7 of Philosophy for Children: Evaluation Report and Executive Summary. There is evidence that P4C had a positive impact on Key Stage 2 attainment. Overall, pupils using the approach made approximately two additional months’ progress in reading and maths. Results suggest that P4C had the biggest positive impact on Key Stage 2 results among disadvantaged pupils (those eligible for free school meals). Analyses of the Cognitive Abilities Test (a different outcome measure not explicitly focused on attainment) found a smaller positive impact. Moreover, in terms of this outcome it appears that disadvantaged students reaped fewer benefits from P4C than other pupils. It is unclear from the evaluation why there are these differences between the two outcomes. Teachers reported that the overall success of the intervention depended on incorporating P4C into the timetable on a regular basis. Otherwise there was a risk that the programme would be crowded out. Teachers and pupils generally reported that P4C had a positive influence on the wider outcomes such as pupils’ confidence to speak, listening skills, and self-esteem. These and other broader outcomes are the focus of a separate evaluation by the University of Durham. Similar results were reported for the impact of P4C on non-cognitive abilities (e.g. social and communication skills, teamwork and resilience, and empathy), again with the largest results shown for economically disadvantaged pupils. The significant pre-post cognitive ability gains in the experimental group in primary school were maintained towards the end of their second year of secondary school. Higher achieving pupils were somewhat advantaged in sustaining these gains. The control group showed an insignificant but persistent deterioration in scores from pre- to post-test to follow-up. The original study was not completely randomized, however: when the researchers made their proposal, some of the schools surveyed had already settled on a curriculum. As a result, only those schools that had space in their curriculum were selected for the first phase of the intervention. A replication of that study undertaken in Texas during the 2010/11 school year avoided that problem, however, and persistent gains were likewise recorded during a follow-up, this time three years later. As Sesardić documents in his essay, a number of philosophy departments broadcast the putative benefits of the study of philosophy on the cognitive abilities of university students. He suggests that the reticence to examine these benefits may be due to a concern that doing so would “harm their own discipline by destroying an important rationale for the existence and funding of philosophy departments in their current form and size.” While it may be true that the evidence for those benefits among university students is lacking, that does not seem to be the case for the impact of philosophical instruction in primary and secondary schooling. Nevertheless, this is a relatively recent area of social science research, and more work is needed before we can conclusively assert that philosophical instruction prior to higher education has the effects these studies document. And the opportunity for further research is substantial. Currently, over 60 countries have philosophical programs in place that serve students from kindergarten through high school, and a variety of approaches toward teaching philosophy in primary and secondary education have been developed over the last forty years (see the discussion on pages 20-26 of the 2011 UNESCO report Teaching Philosophy in Europe and North America, the summary at The Variety of Schools of Philosophy for Children in France and in Philolab, the Stanford Encyclopedia of Philosophy’s article on Philosophy for Children, and the essays collected in Transforming Thinking: Philosophical Inquiry in the Primary and Secondary Classroom by Catherine C McCall, Routledge 2009). I do not want to overstate the case, but this is also an area of potential growth for the profession of philosophy. Whereas the number of PhD-granting programs in philosophy swelled over the course of the twentieth century, there has to date been very little interest in teaching philosophy to students in elementary school, middle school, and high school, particularly in the United States. But even if the link between university instruction and increased cognitive ability is severed, it does not follow that the health of the discipline (measured in student enrollments and the funding this brings with it) needs to suffer. One might imagine a future in which academic philosophers work more closely with schools of education, first to establish whether these apparent benefits are real, and then to teach philosophy in primary and secondary schooling. One final benefit of early philosophical instruction should be noted. Much of the work on philosophy for children is downstream from the pioneering efforts of Mathew Lipman as director of the Institute for the Advancement of Philosophy for Children at Montclair State University in New Jersey. Lipman’s work there was the result of his experience teaching philosophy at Columbia University in the late 1960s. Despairing over the state of his students’ dialectical skills, and the impact this was having on not only the student protest movement but on the broader arena of public discourse, Lipman became convinced that American citizens needed exposure to philosophy from an early age. Bjorn’s main recommendation for schools is that they teach students that people are allowed to hold very different ideas and opinions. “I would like to see a class teaching critical thinking or philosophy in every school,” he says. He is concerned that many education systems are “shutting down critical thinking and teaching propaganda”. He says the mentorship of his old philosophy teacher helped him get through a difficult year following the attack. “I was all over the place, I couldn’t make sense of anything, so I decided to call my old high school philosophy teacher,” he says. In addition to the value that philosophical instruction in primary and secondary school may have on both young people and the profession of philosophy, then, it may also be valuable for the societies in which philosophers live and move and have our being. Preston Stovall is a post-doctoral researcher at the University of Hradec Králové in the Czech Republic, an adjunct instructor at the University of Nevada, and an education researcher with Studium Consulting. In the spring and summer of 2017 he worked with David Hoinski and Justin Humphreys on a pilot program teaching philosophy at Woolslair Elementary and the Ellis School in Pittsburgh, PA. Thought provoking essay. The problem that I see is competence. Understanding philosophers is not for everybody. Distilling the lessons of Plato and Hobbes and Rousseau – not to mention Nietzsche and Kant – in order to make them accessible to school age children sounds like a worthy enterprise but is not without its dangers. Look at what post modernists have been able to do to more mature minds at the university level. Would earlier introduction to the topic serve as a vaccine to that corruption of the field or make it even more dangerous. I suspect the answer lies with the quality of the teachers and that gives me pause given the predilection of activists to go where their indoctrination is most effective. Remember the old adage concerning ‘give me a child until the age of 7’. It is already almost impossible for a serious person to clearly delineate the difference between public education and indoctrination so I strongly suspect that this version of philosophy would more closely resemble the latter than the former. I’m happy to await the evidence, but for the time being I’m rather sceptical about the idea that philosophical study enhances cognitive ability. Based on my own experience. I found this – the practical use (and abuse) of logic very helpful in my subsequent business career. It helped me spot all sorts of useful things – when Mr X was spinning a yarn; when Ms Y was sincere and had done a mostly good job, but was confused; when my boss hadn’t quite worked out what he really wanted done; what questions were being begged; what sine qua nons were required before a good idea could get off the ground. And so on. I found that with my elementary grasp of logic, I had a tool that a lot of my peers and my competitors lacked. Even people who were cleverer and more conscientious than me. (Unless they understood basic logic too.) I don’t think logic is a natural human talent, I think it’s learned. So for me, a bit of light philosophy (inc logic instruction) did nothing to enhance my cognitive ability. It just gave me a TOOL with which to wield my existing (and then sadly diminishing) cognitive ability to greater practical effect. I have no difficulty in believing that philosophical instruction might help students do better in various non philosophical subjects for the same reason. I’m sure I could have picked up the useful chunk of philosophy that I did absorb much more quickly if I had been paying more attention. A month or two of serious study, rather than three years of drinking with incidental philosophy, would have been ample. So I see no reason why a small quantity of philosophical instruction shouldn’t be helpful for most students of reasonable ability. But until more convincing evidence is available, I’d be more inclined to see it as a useful tool to help people get more bang for their cognitive buck, rather than a magic way to make people cleverer.